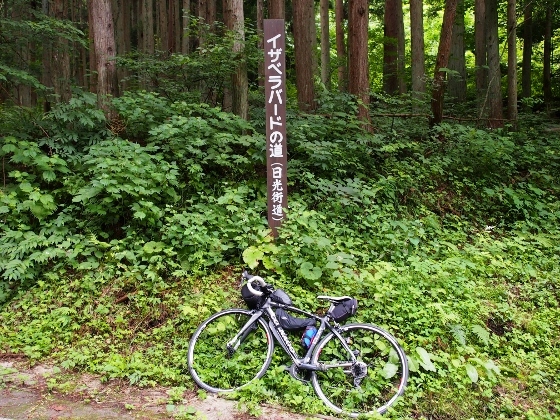 After I left Ouchi-juku, I followed the old Nikko Kaido (=Highway) for a while as shown above. This should have been a way Isabella traveled, but this road today had a dead end. So I switched to a paved road instead. Soon after, I came to Ouchi Dam Lake as shown above. When Isabella traveled here, there was no such big lake. As she wrote '---passing the pretty little lake of Oyake---', there was actually only small Ouchi Pond. 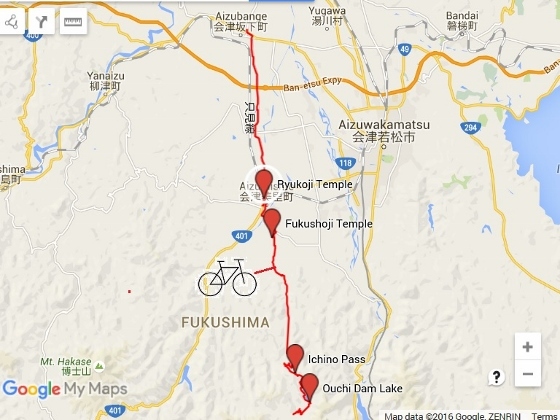 This was expanded to Ouchi Dam Lake afterward. 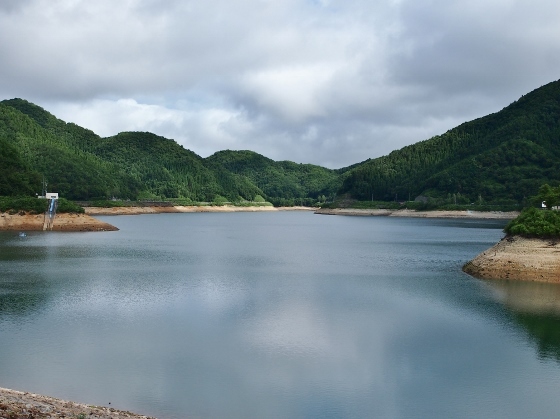 Ouchi Dam is now being used as an upper reservoir for Shimogo Pumped-storage Hydroelectric Power Plant. From Ouchi Dam Lake at the height of 800m above sea level, I could see a magnificent view of mountainside on the other direction as shown above. 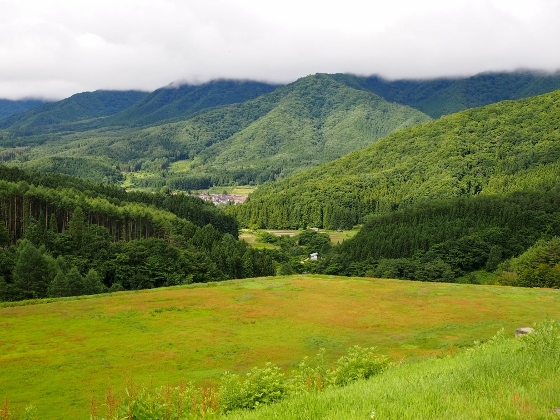 You can overlook Ouchi-juku village on the small basin near the center. I imagine that this may be a similar view that Isabella experienced 138 years ago. 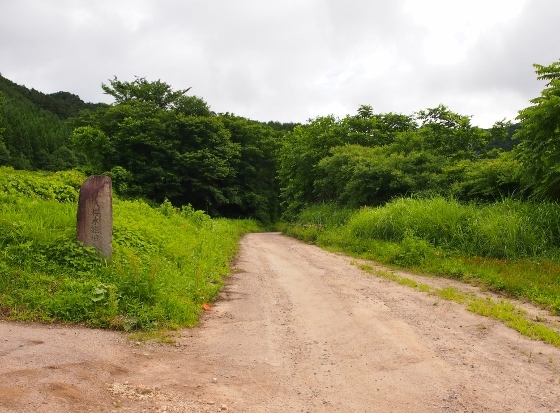 Near the end of Ouchi Dam Lake, I came to a branch to a mountain road which Isabella Bird traveled. And there was even a sign pillar of her name as shown above. There were similar sign pillars with her name in other places as shown above. 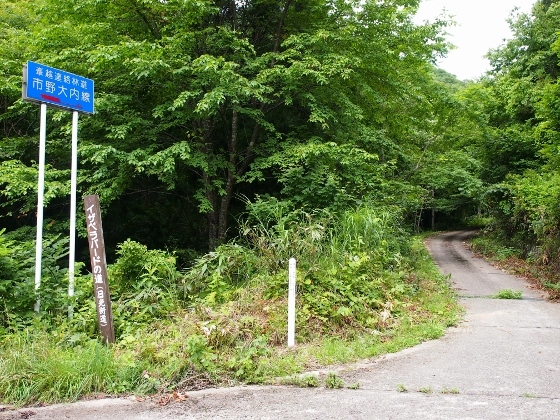 This mountain road passing Ichino Pass was really a hard one for both ascent and descent. 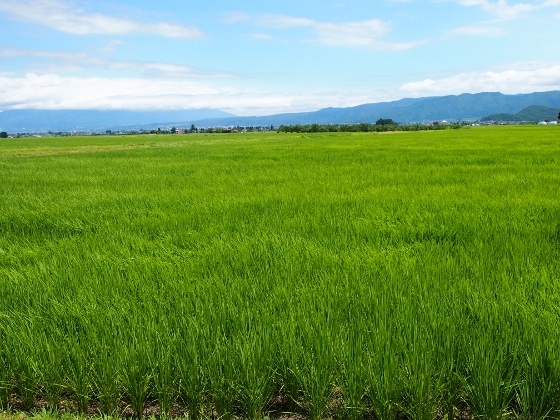 Descending from Ichino Pass, I pedaled through a large plain of rice field as shown above and finally came to a town of Aizutakada. This is the center of Aizumisato Town. 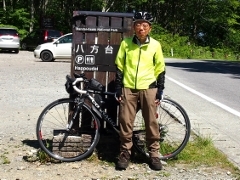 Isabella wrote, 'An avenue of crypromeria and two handsome and somewhat gilded Buddhist temples denoted the approach to a place of some importance, and such Takata is ---'. 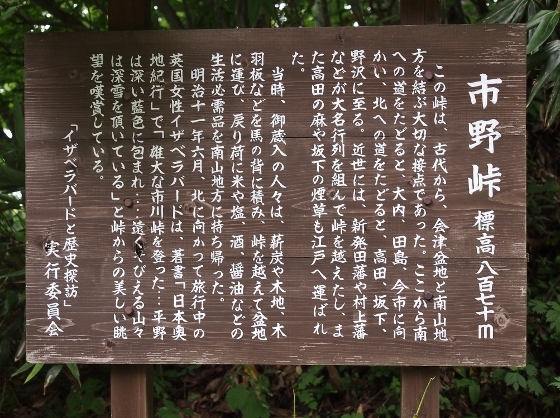 I am not sure which temples she meant, but I visited two temples along the way at Aizumisato Town as below. The first temple was Fukushoji Temple. 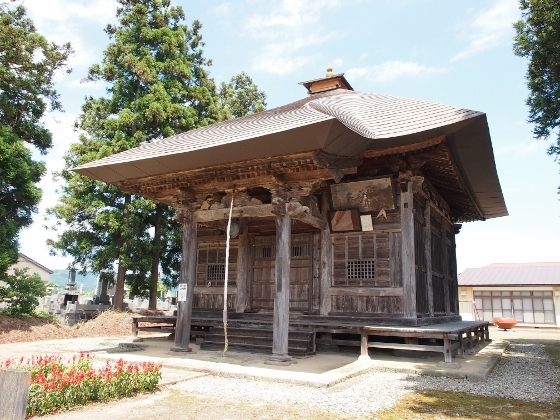 The Tomioka Kannondo Hall as shown above is a historic heritage and it is designated as a National Important Tangible Curtural Asset. It is also the 26th of 33 Aizu Kannons for Fudasho tour, which were designated as Japan Heritage. The second temple was Ryukoji Temple. 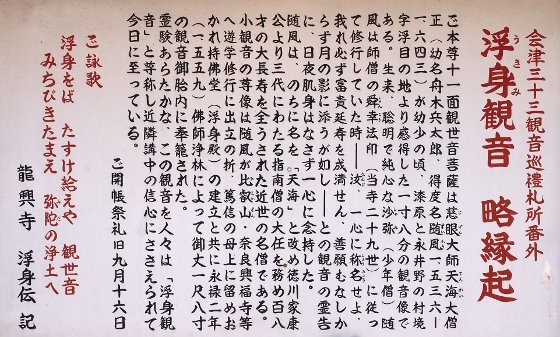 Ukimi Kannon of this temple is also one of Aizu 33 Kannons for Fudasho tour, although it is an extra one. 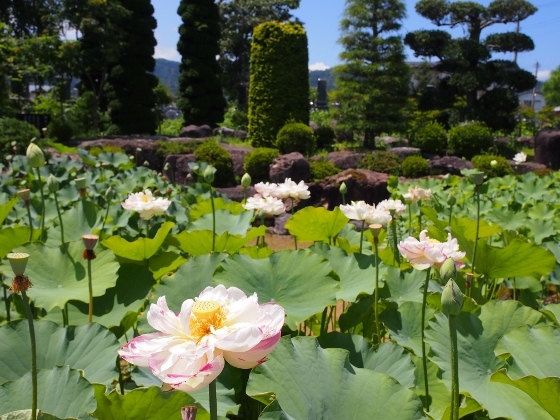 Lotus flowers were blooming at lotus garden of Ryukoji Temple as shown above. The bloom was in the latter half of the whole stage. Tonight, I stayed at an inn in Aizubange Town. Isabella also stayed a night at Bange due to fatigue.